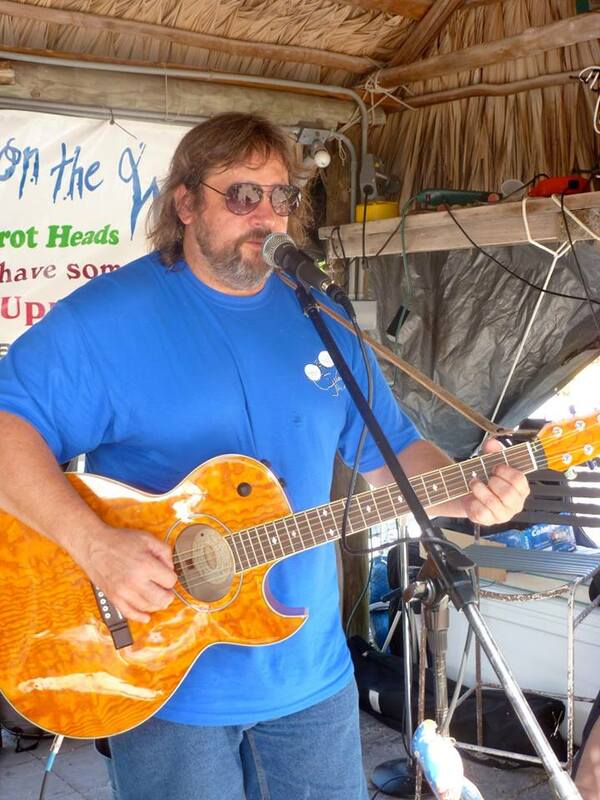 From the swamp of south west Florida comes “YARD DOG CHARLIE" playing, writing and singing songs from the heart. Labeling his music is difficult, he calls it “FLORIDA SWAMP MUSIC”. He blends Cajun, zydeco, blue grass, country, folk and rock & roll into a fun uplifting and entertaining sound. 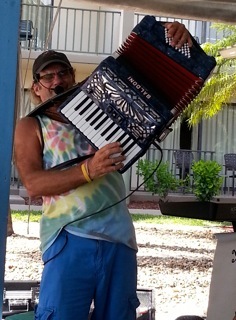 You’ll be amazed at what Yard Dog Charlie can do with an accordion and keyboard. From a mellow ballad to Ragin’ Cajun Rock & Roll to Whole Lotta Shakin", he’ll hold the audience’s attention. He’ll get the audience involved and asking for more. You’ll always have a good time with "YARD DOG CHARLIE". David Lapio’s life mirrors the eclectic nature of his music. A native of Connecticut, David received a degree in Chemistry from St. Michael’s College. Music was always a major focus as he studied and performed in many groups throughout his four years of college. His musical training in classical and jazz piano, as well as percussion, was subordinated to “hobby” status while he pursued a career as a chemist. After hearing Andy Narell's album "The Hammer" in 1988, followed by a first trip to the Caribbean, David was hooked Having discovered his true vocation, David left the Chemistry field in 1991 and moved to Florida to pursue a musical career playing steel drum. Shortly after the move, he formed Tropical Steel, a one to three-piece band that immediately met success in the Southwest Florida club scene. He also freelanced with several local area bands in percussion and steel drum. 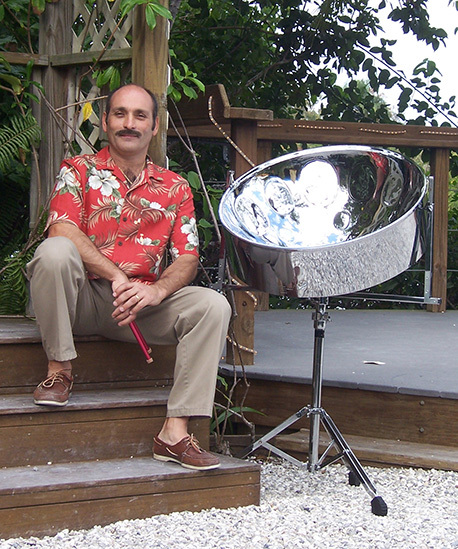 David continues to demonstrate his unique talent as a “pan” player with his latest and eighth CD, “All Aboard For Your Steel Drum Cruise”. Once again, David has demonstrated the amazing capability of the steel drum in the hands of an extremely talented musician. John Friday grew up in Washington, DC, traveled the world, and came back home. Then he turned his car south one day, and ended up in Florida. Armed with a guitar, a wry sense of humor, and a keen eye for life’s absurdities, he carved out a niche as a singer/songwriter. John’s three albums, Coastal Dreamin’, Tropicalized, and Coastal Cowboy, have vaulted him to the top of the Trop Rock music world. He is currently gathering stories and songs for his fourth album. John is always on the lookout for a great song, and moves effortlessly through multiple genres, including rock, folk, country, reggae, classical, oldies, and pop. His original songs are filled with insight and humor, and he covers great songs from every decade. 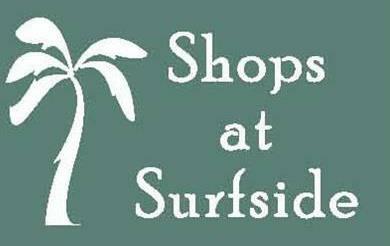 He tours nationally and has shared the stage with artists such as Doyle Grisham, Nadirah Shakoor, Peter Mayer, Mac Macanally & Will Kimbrough (all members of Jimmy Buffett’s Coral Reefer Band), Jim Morris, John Frinzi, “Sunny Jim” White and Jack Mosley, among many others.